Female-fronted bands, especially the soprano-style, haven’t fared very well in my reviews recently. By and large, I’m a little tired of that style, but just as I’m ready to write it off completely, along will come a record that really connects with me. That’s the case with the latest from Todesbonden. This is how the style should be done. 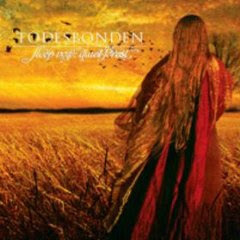 Rather than layering those vocals over typical power metal riffs as so many bands do, Todesbonden bonds the music and the vocals beautifully. There are Celtic influences, Middle Eastern influences, classical, medieval balladry, and, of course, metal. Rather than simply trying to impress the listener with her vocals, singer Laurie Ann Haus uses her complete range to complement the songs here. Though she’s the creative power behind the band, the focus is not always on her vocals either. On songs like “Surya Namaskara,” her chant is but one instrument in an instrumental that builds to a nice, crunchy metal crescendo. Album opener “Surrender to the Sea,” is more akin to what you may be used to hearing from this style of music, but it has much more in common with Blackmore’s Night than Nightwish. That’s the key on Sleep Now Quiet Forest - everything here comes off as more authentic than other bands in the style. The mournful gypsy fiddle that pervades tracks like “Trianon” and “Fading Empire” is striking. The keys are at times mournful, at times playful. There’s a real reverence for the classical instruments and styles that they weave into their music. In fact, I might go so far as to call this a world music record that happens to have metal influences rather than the other way around. Don’t get the wrong idea, though. The record still rocks on tunes like the aforementioned “Surrender to the Sea,” the dramatic “Sailing Alone” and the epic “Battle of Kadesh.” Todesbonden just knows when to use the metallic emphasis and when not to try to force it into a tune. Certainly, Todesbonden won’t be everyone’s pint of ale, but those who enjoy true traditional folk sounds with their metal should be pleased. Get "Sleep Now Quiet Forest." Though often overshadowed on the 1980s thrash scene by the bands referred to as "the big four" -- Metallica, Megadeth, Slayer and Anthrax -- Testament produced some high-quality music that matched, and at times surpassed the bands that grabbed the spotlight. They continue that trend here. It's almost as if no time has passed since guitarist Alex Skolnick left the band in 1992, and they pick things up with a lineup of songs that sound like a cross between their early work on records like the (IMO) classic "The New Order" and later albums like "Low." 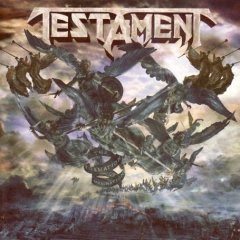 After the expected instrumental intro "For the Glory of...," the band launches into the first true song, "More Than Meets the Eye," which will take fans back to Testament's glory days -- and it's actually not one of the strongest moments here. There's a nice range from very melodic pieces like "Dangers of the Faithless," which features the most memorable hook on the record, to full-on assaults with even a little touch of death metal, like the title track. Check out "Henchmen Ride" for an all-out old school thrasher with a great squealing riff, or "Killing Season" for a great thrash groove. Get "The Formation of Damnation." While I do think that metal fans owe some amount of gratitude to the nu-metal movement of the late 1990s for bringing the genre back to the forefront, the truth of the matter is that it didn't produce a lot of music worth listening to. There were a few exceptions, however, and one of those is Disturbed. 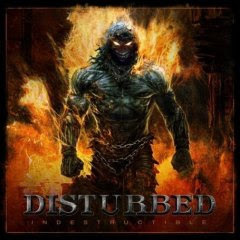 I first came across Disturbed as the opening act for Pantera on a now defunct late night concert series on HBO. I was struck by vocalist David Draiman's unique vocal style and the tightness of the band and immediately went out and found their first record, "The Sickness." Unfortunately, they drifted into more generic rock territory on their second record. With "Indestructible," the band has finally found a way to integrate the two styles seamlessly. While the crazed vocalizations that became Draiman's trademark on the first record are scattered throughout the album, there are also some strong melodies that balance it out and make it seem less cartoonish. The perfect example of this is first single "Inside the Fire," which really showcases the blending of the band's unconventional early work with amore melodic smoother sound. "Criminal" is another strong point, with a hook that's hard to get out of your head. My personal favorite is "The Curse," one of the darker tunes on the record. I don't know that it's one of the best songs on the record, but it's certainly one of the most relatable for me personally. Draiman's manic vocals are, admittedly, still the star of the show, but it's also nice to see guitarist Dan Donegan getting a bigger chance to shine on this record. The guitar comes to the forefront on a few songs, and Donegan takes a solo on every tune. It further underscores the musical maturation process of the band from chunky detuned riffs and edge-of-madness squawks to a legitimate, well-rounded hard rock machine. To hold fans of the “Guitar Hero” series over until the fourth installment arrives this fall, Activision delivers what could be the first in a series of artist-based titles, “Guitar Hero: Aerosmith.” (Rumor has it that “Guitar Hero: Metallica” is already in the works for a 2009 release). 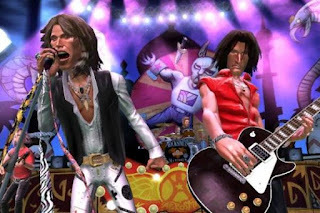 While it’s still more of an expansion pack for “Guitar Hero III” than a new game, “Guitar Hero: Aerosmith” does manage to bring a few new twists to the table, unlike last years “Guitar Hero Rocks the ’80s.” While the game follows the basic pattern and rules of “GH III,” in career mode players must first perform two songs as an opening band before they unlock Aerosmith for that level and get to rock out on the band’s classic tunes. The opening band numbers include classic songs from bands like Cheap Trick, Ted Nugent, Joan Jett, The Clash, Run DMC and more, all hand-picked by the members of Aerosmith. Most of them are the actual songs, rather than the covers that have dominated past installments of the game (though there are still four or five of those.) Once you get past those, there are two Aerosmith tunes and an encore to unlock a video of the band discussing its career and move to the next level. Perhaps the best part of this game is the playlist in career mode. Notably absent are overrated and oversaturated tunes like “I Don’t Want to Miss a Thing,” “Janie’s Got a Gun,” “Dude (Looks Like a Lady)” and the “CryinAmazaCrazy” trilogy. 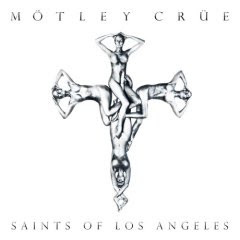 Instead, we get some underappreciated gems from the catalogue, like “Movin’ Out,” “No Surprize,” “Uncle Salty,” “Nobody’s Fault” (my personal Aerosmith fave) and the Joe Perry vocal on “Bright Light Fright.” I was disappointed in the decision to use the Run DMC version of “Walk This Way,” but the real version is included as an unlockable extra and that’s a minor quibble for a set list that’s heavy on hard-rocking classics and light on the newer hits. All in all “Guitar Hero: Aerosmith” is a short, but enjoyable add-on that should whet your appetite for “Guitar Hero World Tour,” due out just in time for Christmas, of course. More of these artist-based titles would be welcome. Get "Guitar Hero: Aerosmith" for Wii. Get "Guitar Hero: Aerosmith" bundle for Wii. Get "Guitar Hero: Aerosmith" for Xbox 360. Get "Guitar Hero: Aerosmith" bundle for Xbox 360. Get "Guitar Hero: Aerosmith" for PS3. Get "Guitar Hero: Aerosmith" bundle for PS3. Here's one of the few bands left in metal that can, seemingly, do no wrong. 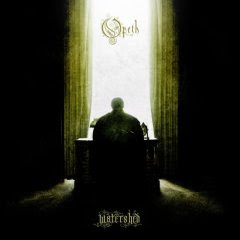 Easily the most creative band in the genre, Opeth can release anything from a full-on death metal record to a soft, acoustic record with no metal at all, and fans won't bat an eye. They've done both. "Watershed" finds the band at the top of its game, blending all the facets of its music into a product that is, honestly, like nothing else that you'll hear (outside of a couple of bands that have tried unsuccessfully to copy them in recent years). Soft balladry is followed by pummeling metal, interrupted by a shimmery jazz guitar run, some nylon-string classical guitar and capped off by some bluesy Hammond organ riffing. Sometimes all of that comes in the same song, and it's all brought together by the tremendous musicianship of the band members and the versatile vocals of Mikael Akerfeldt. Even those who don't like metal should be able to appreciate the musicianship on a song like the 1970s prog rocker "Burden," on which you'll find no metallic sounds whatsoever. It's really hard to single out one or two songs on this record, because if you don't take the piece as a whole, you're missing out, but I'll give it a shot. 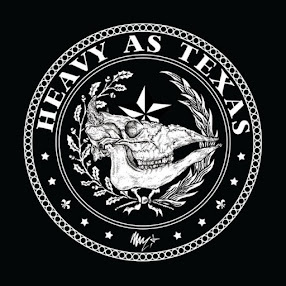 "Heir Apparent" is the heaviest number on the record, opening with one of the most crushing open chords you'll ever hear, made all the more heavy coming out of the acoustic opener "Coil." Add to that a great, heavy riff on the death metal verse, and you've got perhaps the best song on the record. "Burden" shows the band's progressive leanings to full effect, while "Porcelain Heart" walks the middle ground, blending in a bit of folk, classical and metal. I've heard Opeth described as death metal, progressive, extreme progressive, forest metal, art metal and several other variations. The truth of the matter is that they're a band that defies description, and that's a rare thing in this age of metal. I'm much later than promised on this one, but it's still well worth noting. Anyone whose read my reviews knows that I love bands that break the mold and do something a little different. King's X was one of the first of those I discovered. I was watching Headbanger's Ball (the original) back in the late '80s when the video for "Over My Head" came on. Here was this lanky, mohawk-sporting black guy (a rarity in itself in those days of metal) with an incredible voice, wailing over music that drew as much influence from gospel and soul as it did from Black Sabbath. It's been almost 20 years since that discovery, and I've had my ups and downs with the band from the outstanding first five records to the hit and miss experimentation of the late 90s and this decade. The band's latest, "XV," though, stands as perhaps its best since 1994's "Dogman." Those tight Beatles-like harmonies that the band has always been known for, here become more like the harmonies of an energetic gospel choir, and that change is announced early on the chorus of record opener "Pray." It also signals that, perhaps, there's a little more anger here than in the past, a point proven later in the record on the charging "Move" and the dark "Love and Rockets (Hell's Screaming)." That's not to say it's all anger. The record is varied with songs like the bubble-gum "Rocket Ship," the joyful "Go Tell Somebody" and the sardonic "Broke." Drummer Jerry Gaskill also takes a turn on the mic for the first time in a number of years for "Julie." 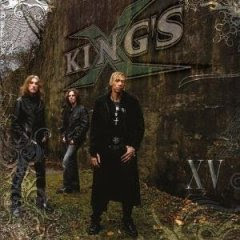 It's a strong comeback for King's X, without a bad song to be found. The song here requests "If you like what you hear, then go tell somebody." Consider somebody told. I love offbeat stuff, and when this record was pitched to me as “Elvis metal ‘n’ roll,” I just couldn’t resist taking a listen to it. I’ll start with what could very possibly be my favorite song of the year so far, “Sad Man’s Tongue,” the band’s tribute to Johnny Cash. It opens with a country flair and that patented Cash beat. 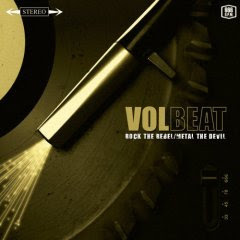 Vocalist Michael Poulson comes in with his Elvis vocals and a melody and lyric that owes more than a little to “Folsom Prison Blues.” After the first verse, it explodes into some hillbilly chainsaw rock, with a thrash interlude and a little bit of groove metal thrown in on the breakdown. It’s an absolutely perfect piece of redneck rock ‘n’ roll that’s right down my alley. I really wish there were more songs like this one on the record, where they just let go and rock. The only true miss on the record is “Radio Girl” which has a bubble-gum feel and seems a bit out of place with the darker material found elsewhere on the record. For the most part, Poulson lives up to the Elvis comparisons, although there’s a lot of Glenn Danzig and at least a touch of Peter Steele and James Hetfield in his vocals. 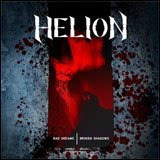 Poulson and Franz “Hellboss,” who has since left the band, provide some top notch riffing throughout the record. Get "Rock the Rebel/Metal the Devil." 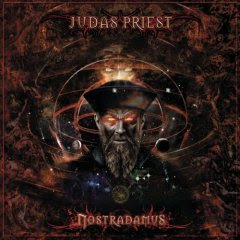 It’s a shame that, in one of his prophecies, Nostradamus didn’t foresee that Judas Priest would one day record a two-disc concept album about him. Maybe he could have warned them that it may not be the best idea. The idea of a concept record about Nostradamus had me scratching my head to begin with. I kind of had an idea that it would be this bloated, overbearing, self-important piece of work, and that’s pretty much what Judas Priest delivers. It starts well with the nice traditional riffing of “Prophecy.” The song is catchy enough that I can overlook the silly lyrics and overly melodramatic tone. By the end of the song, I was thinking this might not be so bad. And, in truth, it’s not. There are enough good songs scattered around this record to make one pretty good CD. “Pestilence and Plague” has a nice, galloping power metal feel to it, something we’ve rarely heard from Priest. “Death” is a morose, Sabbath-influenced track that might be the best of the dark numbers. “Conquest” has a cool, exotic vibe to it, thanks in large part to Halford’s vocal delivery. “Persecution” is a ripping ending to the first CD that leaves a good impression, and the title track provides a solid late-record spark with some Painkiller-style riffing, even if the vocals are, again, a little silly. Even the flamboyant operatic stuff is not all bad. “Revelations” is a very dramatic piece of music, one of the strongest here, even if it does sound a little dated on the more metal parts, and “Alone” is one of the highlights of the second disc, opening with a Pink Floyd-ish moment before kicking in with a nice, plodding metal riff. So, what’s the problem? Well, there are a few. For one thing there are far too many short interludes and intros on the record that really go nowhere. It feels like almost every song has some sort of intro track. The album is belabored by overbearing, and if I’m being honest, pompous tracks that are essentially the band trying to force the listener to recognize how brilliant this record is. I’m not buying it. British Steel is brilliant. Screaming for Vengeance is brilliant. Painkiller is brilliant. None of those records needed to point that fact out for listeners to recognize it. Only a handful of the songs here are what I would truly call bad, “New Beginnings” being the notable exception — a pop ballad that’s easily the low-point of the record and possibly of the band’s career. But many of the songs just don’t seem to go anywhere. “War” is the perfect example. I listen to it, and I feel like it’s building up to some big release, some sort of crescendo, and then it never comes. Instead we move right into another slow, tortured song after another. Sitting through track after track of that just gets interminably boring somewhere around the middle of the second disc. I’m praying for a “Painkiller” to come blow the top of my head off, but hell, I’d almost settle for a “Turbo Lover” — at least it’s got a hook. By and large the album is well put together and well composed, and perhaps as a Broadway-style piece, it might work. Unfortunately, that’s not what I want from Judas Priest. If I was looking for Broadway-style metal, there are many bands out there that do it better. What I want from Judas Priest is straight-up, balls out, traditional metal, and there’s far too little of that to be found on Nostradamus.